Maxar Technologies’ Space Systems Loral business has begun developing standards to streamline operations between non-terrestrial networks, ground terminals and wireless networks via millimeter wave frequencies in preparation for 5G implementation. 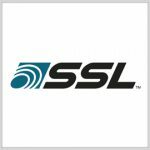 Rob Singh, vice president of business development and solutions architect for SSL, wrote in a blog post published Friday that the standards will help network operators leverage non-terrestrial platforms to provide connectivity to less populated areas and support mobility-heavy operations. Singh noted that non-terrestrial network connectivity will support users outside metropolitan regions as well as those in transit via plane, ship or high-speed train. “Just like today, the actual hardware carrying communications will be irrelevant to both the network operator and the end user, bringing the promise of 5G connectivity around the globe,” he said. Singh noted in his post that Maxar has been providing support for the 5G roll-out by taking part in committees under the Third Generation Partnership Project standards body for 5G communications.